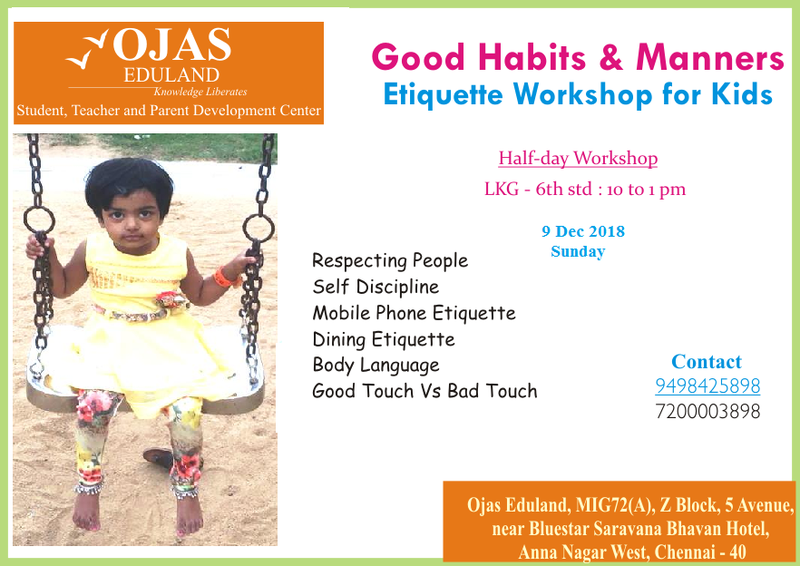 Good Habits & Manners- Etiquette workshop | Life Skills Workshop at Anna Nagar. This is a half day workshop for school students that will help them to understand the need of Manners & Appropriate behaviours. Kindly enroll the children for the workshop & see them evolving in a better version. Note: Refreshments will be provided.